1 Blemished Available: $53.96 This item is available as a Blem/Refurb. These are items that cannot be sold as "New" merchandise and are limited to stock on hand. See the product details for a description of the product's condition. German WWII styling meets American DOT safety standards - the Fly 9mm Helmet. Helmet style does not look as advertised in person. Best quality half shell on the market no doubt! Searched a lot of sites and shops for a quality half shell for local rides, and Fly Racing Street was no doubt the best bang for my buck. Extremely comfortable, durable and still adds flare to the ride. 10/10 would definitely recommend to others looking for a great half shell! I ordered a large and fits perfect and the strap doesn’t irritate like others. If you want to helmet for protection this isn’t the one. If your a rider that’s wants to look badass this is the way to go! Good helmet but not compact. It’s a good helmet with protection but it’s not small size as it look in the picture , more of round and big size I think could be because of DOT certification. My only complaint is the chin strap. No padding and will get uncomfortable fast. Price and style is right. Love everything about the helmet, but yet to have the opportunity to actually try it out due to the weather. I'm sure it will meet my expectations when I get out on the road. Great quality and price. My grandson loved it ! I would definitely reccomend Revzila and will shop there again. The look of this helmet is pretty rad. My husband requested this for his birthday gift in October. Like the look. Matte finish matches my bike. Decent helmet... has seem to intimidate some people. 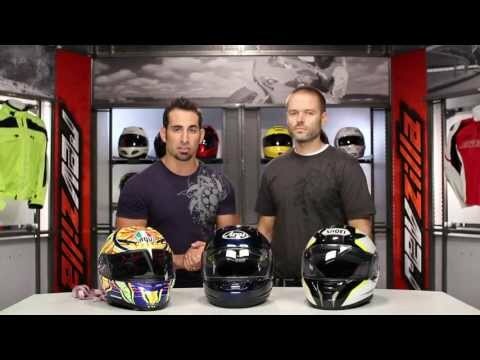 I've had a full size helmet for the past few years but never liked it. I've worn half helmets before and liked them more; once i saw this one I just knew it was for me. I have a big head 25 1/2 this is all that they sell! 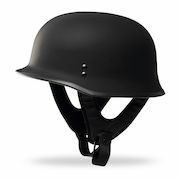 I wanted an open-face helmet, and I liked the shape of this helmet. Looks cool and is perfect for those victory laps around town. i love the old school look it has to it. Very few helmets to fit my giant head. Full face is too hot in the summer. Hoping this is a good choice. cooler in the Vegas summers!!! I love the style of this helmet, Looking forward to wearing it. It's a great helmet! It fits in smaller saddlebags, it's not cumbersome and works well. Love the look of the classic German Helmet! However, managed to scratch it after a month and it looks aweful!! love the color and german style. I just bought a Russian Ural and I think they will look cool. Looks good. DOT approved. What else is there? Very cool and stylish. Even on colder days I just wear a balaclava and I'm good! Like the all black matte look. like to keep it simple! Thought it would look less like a bucket on my head than it does. I use it as my passenger helmet. I ride a fat bike (yeah, it has pedals) to work and I am not one of those "rolling pez dispensers" all kitted-out in bright colors, tight shorts, and sissy @$$ bicycle helmets. I typically ride rag top, but I don't need to scramble my brains when the trail gets icy. I am gonna add some weeping bullet hole art work to this lid and see how it plays. 4x in HJC Harley half helmets is a little too tight. How does the 5x here compare? BEST ANSWER: It fit perfectly un my head... Not the kind of helmet fo long distances though. It tends to float over your head with the wind pressure. The one I have is a 3x and is a little loose, wich is fine with me I can wear a bandana under it. Whats the profile like for this helmet?? Do you wind up looking like a mushroom head or, is it fairly low profile?? BEST ANSWER: Because of the dot required padding, you do get a bit of the "mushroom" head effect. Also, without a windshield, the helmet has quite a bit of lift going highway speed. It's a well made helmet, with a washable liner, however. Its not "huge", but it does stick up a little due to the padding inside. I am usually an XL for full face helmets. Is it safe to say that i will need an XL for this? BEST ANSWER: yes!! That is what I am and that is what i bought - It fits perfect for me! I wear an Icon full face size L. Ordered this in a L and the fit was correct. Hope that helps. is this helmet dot approve? BEST ANSWER: Yes, this helmet is DOT approved. What size would fit an 8 1/4" hat size? Does this helmet have the DOT sticker on the back of it? BEST ANSWER: Yes it does have the DOT sticker on the back. BEST ANSWER: Don't have original paperwork anymore, but the back of the helmet still has the sticker that states "Fly 9mm DOT FMVSS NO. 218 CERTIFIED"
I'm on the cusp of a M and a L. All my full face have been mediums, two of the four fit pretty snug but not uncomfortable. I'm at 23" or 58.5cm. Do half helmets fit differently?? Can this be used as a bike helmet? I have a 67cm head size 8 hat size will a 5xl fit?